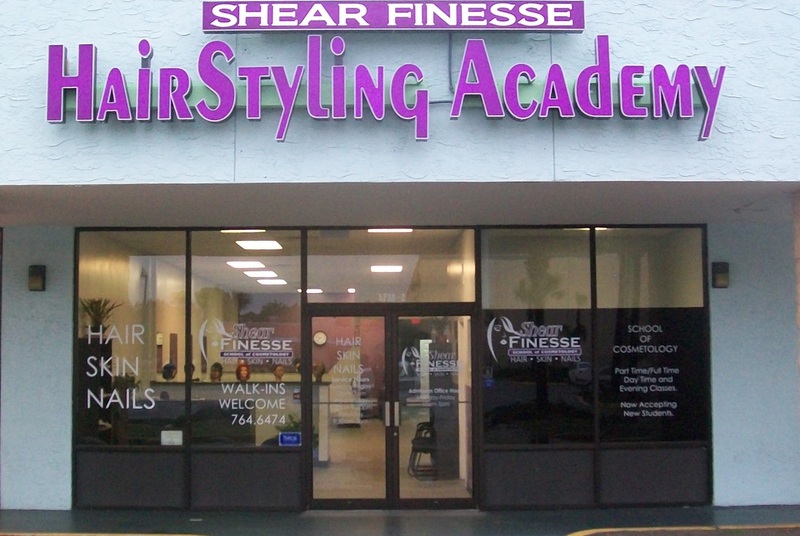 Shear Finesse Beauty Academy is located in a large modern facility located in the Regency Court Shopping Center. The campus contains a reception area, two classrooms, service areas for performing hair, nail and skin services, student lounge, student support kiosks, and staff offices. Equipment in the facility includes, but is not limited to, salon work-stations with styling chairs, shampoo bowls, hair dryers, nail tables, pedicure stations, and esthetician beds and associated equipment. We also provide students with a break room and lockers, for their personal convenience. Smoking is permitted in designated areas outside of the building. Additionally, the city’s Transportation Authority conveniently has a bus stop in walking distance from the school’s location.